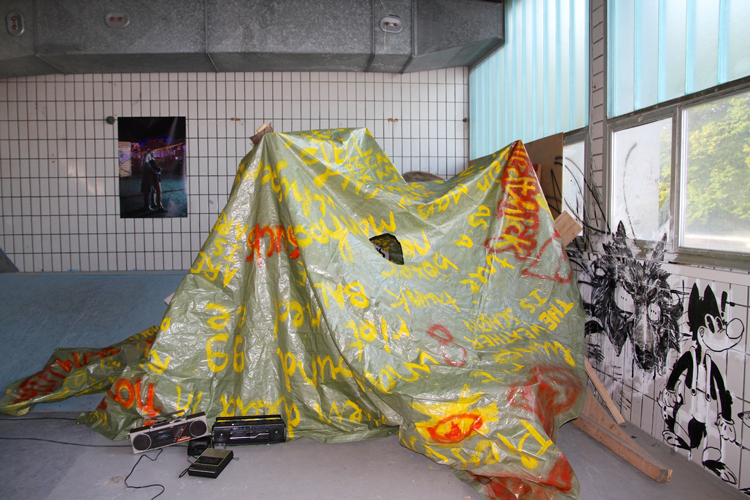 In October 2013, Nicolas takes part in the exhibition "Wild lonely 2" in the building of the old slaughterhouse in Fribourg. He builds, in collaboration with Laure Betris and Gilles Rotzetter, an installation taking the form of a shack/hut, using basic and recycled materials (wood, paint, plastic). An opening allows the visitors to look inside the hut and thus to dive into an imaginary, dreamlike world. 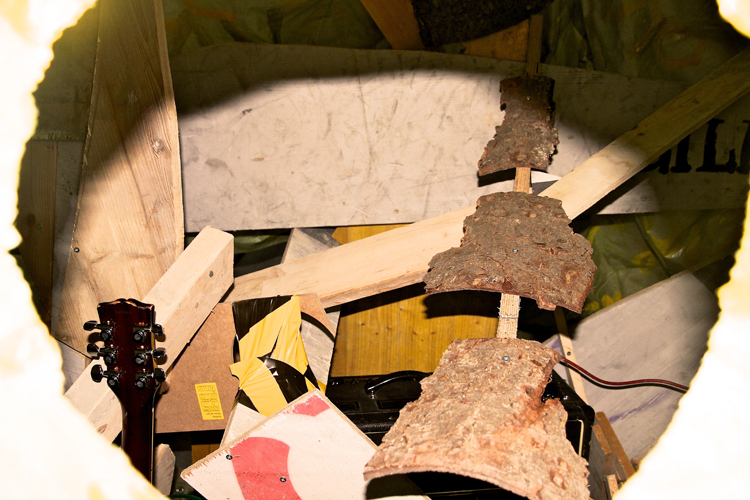 Inside, he indeed sees a space littered with musical objects and the mythical throne of an invisible guitarist. The space is empty, but life is not far away. At any time, the guitarist can resurface and reintegrate this burrow, which is both a make-do home and a protective cocoon from the world. On the plastic sheets serving as a roof to the shelter, some words, slogans and phrases are painted. They could be seen as as many lyrics (forgotten? Soon to come? Not yet or never to be written?). 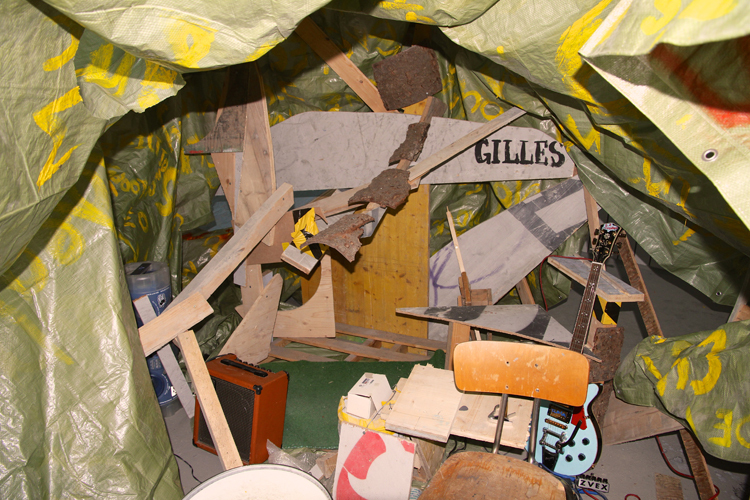 For the opening, Gilles Rotzetter and Laure Betris joined Nicolas for a performance. The show included the broadcast of voice recordings containing some of the words or slogans written all over the hut and played by fifteen cassette players, distributed all through the venue. Throughout the performance, the ghostly soundscape gradually transformed, ending in a live concert by the three protagonists from within the cabin.